Peixuan Huang advises CMKZ on various aspects of Chinese law. Called to the Bar of China in 1995, Peixuan Huang has acquired over 20 years of experience in Chinese business law, particularly in direct foreign investment in China. 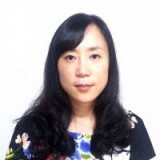 For the past few years, she has been assisting Bernard Colas in Chinese legal affairs. Prior to joining our team, she worked for 4 years as Associate to the Shanghai Office of Bull Houser & Tupper and to Holman Fenwick & Willan after their merger. She practiced as an in-house legal counsel for the 3M China Ltd., a wholly owned subsidiary of Minnesota Mining and Manufactory (3M) Co. Ltd. (1995-1998).